On Wednesday the Albany City Council will vote to ban the production, processing, and wholesale and retail selling of recreational marijuana within the city limits. This sets up an election next November in which opponents of recreational marijuana will want to vote yes and supporters will want to vote no. This may not be confusing to everyone, but it will be to some. The council is scheduled to vote Wednesday on the first reading of an ordinance banning licensed commerce in recreational marijuana. Chances are the second reading and final council vote won’t come until the following week, when the council will meet again, on Dec. 7 and 9.. In any case, the ordinance says it “shall be referred” to Albany electors in the general election on Nov. 8, 2016. When that time comes, the marijuana question will be before Albany voters in a way opposite from the 2014 general election. Then, the question was whether to approve recreational marijuana businesses, and by a small margin Albany voters said yes. In 2016, the question will be whether to ban them. 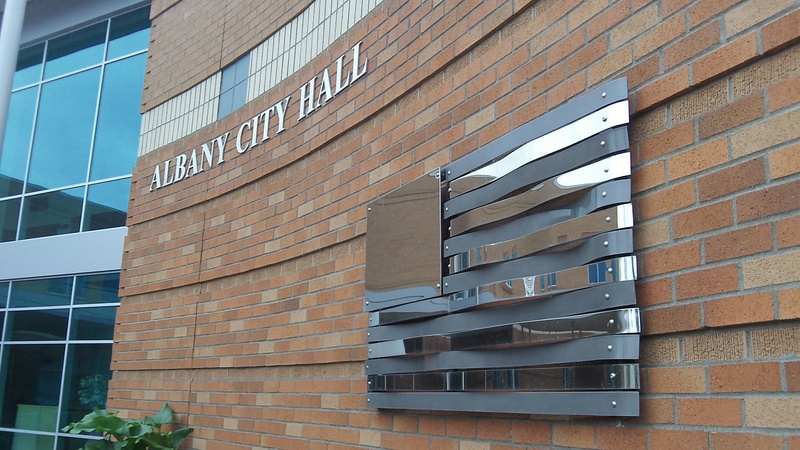 Albany is planning to enact its ban before the start of 2016 because on Jan. 4, the Oregon Liquor Control Commission will start accepting license applications from recreational marijuana businesses. If the city notifies the OLCC of its ban before then, the agency will not accept applications. I am already on record & camera saying I will vote “no” for the 1st reading of the ordinance — thereby carrying it over to the Monday, Dec. 7th council meeting. What will happen then is still up in the air. I just really can’t believe that in this day and age this is happening.